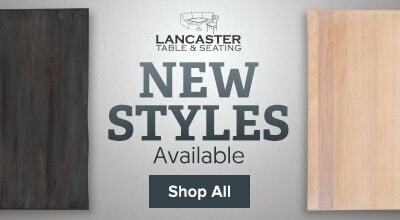 The Lancaster Table & Seating bistro dining chair is the perfect seating option for your contemporary eatery. 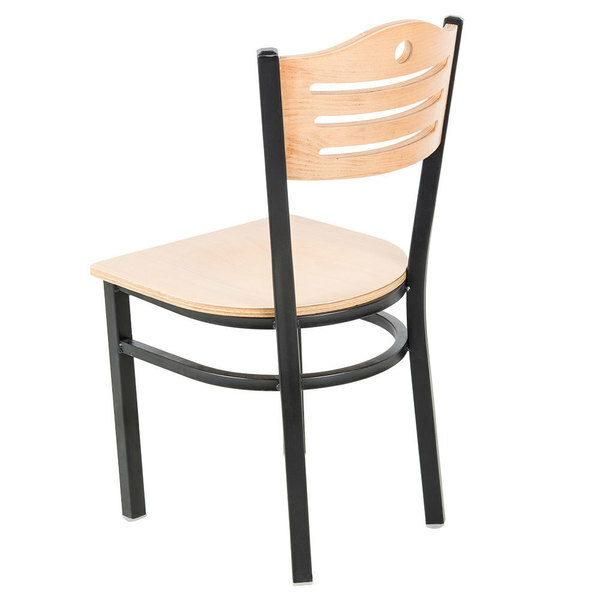 The black metal frame contrasts with the light, natural wood finish, giving you an interesting, modern appearance. 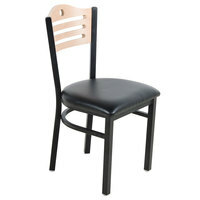 Thanks to its durable construction and comfortable design, this chair will withstand use in even the busiest restaurant. 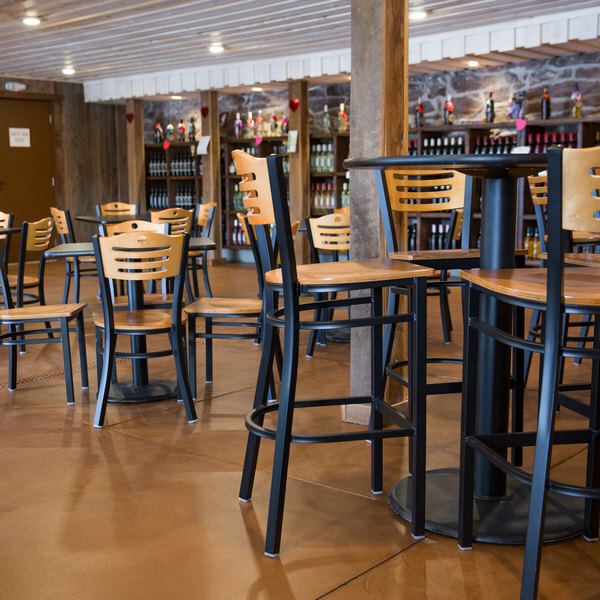 "The natural finish on these Lancaster chairs is beautiful. I bought a bunch of these a while back and I am so glad that I did because they are still holding up well!" 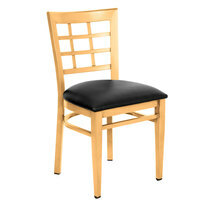 The back and seat are curved, keeping your guests comfortable as they enjoy their meals. 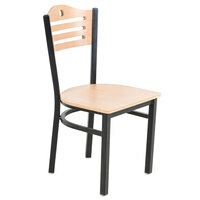 Its wooden back features attractive slats and a cut out hole, giving your dining room a stylish touch. These look beautiful and were so easy to assemble. The price was fantastic and these chairs still look brand new even with a lot of use and with cleaning them. I would definitely purchase these again. 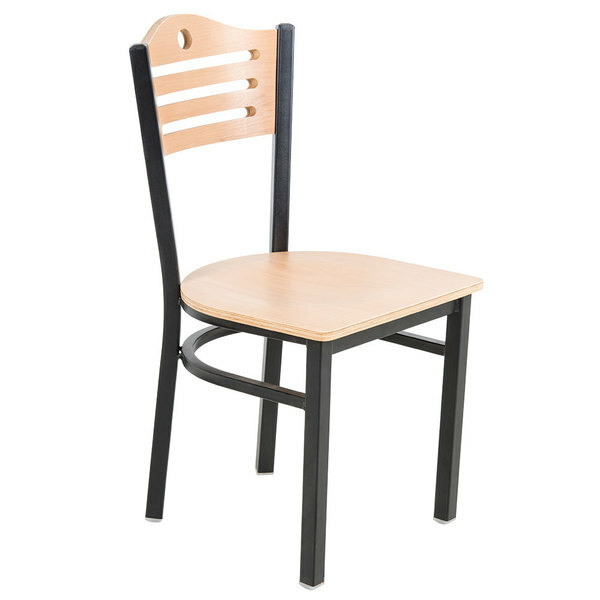 i ordered six chairs from webstaurantstore. very easy to assemble. it looks really good in my store. and chairs quality is batter then i accepted. i will not hesitate to order this again. 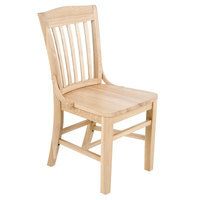 The natural finish on these Lancaster chairs is beautiful. I bought a bunch of these a while back and I am so glad that I did because they are still holding up well! 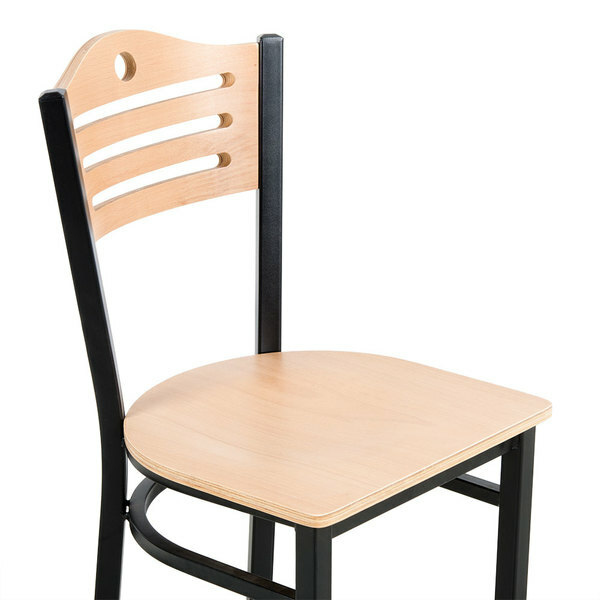 Lancaster made these chairs nicely. These are so elegant. I think that they will go very well in our bistros. We ordered about 10 of them. These chairs look very nice with most tables. Comfortable, not too heavy, doesn't mark floor. 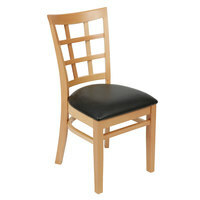 The price is very hard to beat for dining room chairs. We have used these chairs for almost 2 years, and they are holding up nicely. 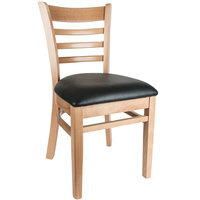 We have 30 of these chairs in the tap room and they are all working well. They shipped quickly and came fully assembled. Just had to take off som protective wrapping. Overall we are happy. These are a great value. These are great chairs for the money. 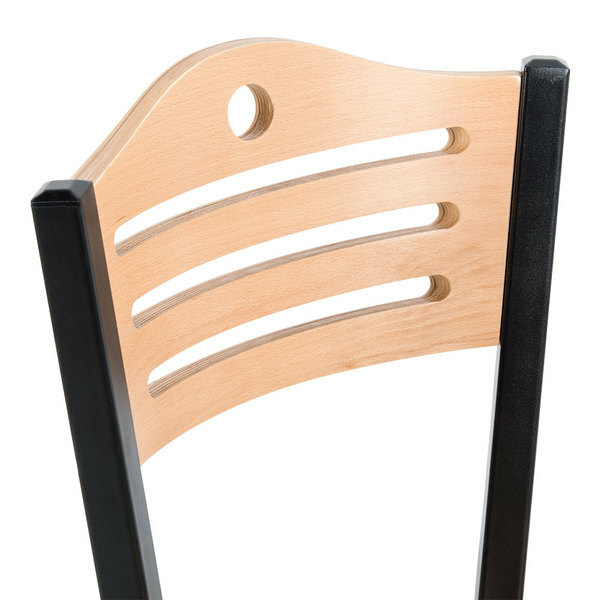 They are surprisingly comfortable and so easy to clean, perfect for a cafe or small restaurant where you have a fast turnover. You cannot go wrong with these chairs! They are at such a great price and for not having any type of padding they are super comfortable. 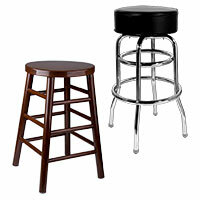 We added a dozen of these to our dining area. They have a nice color contrast, and the customers have given us many positive comments. The back is very comfortable. Beautiful chairs. Incredible quality. 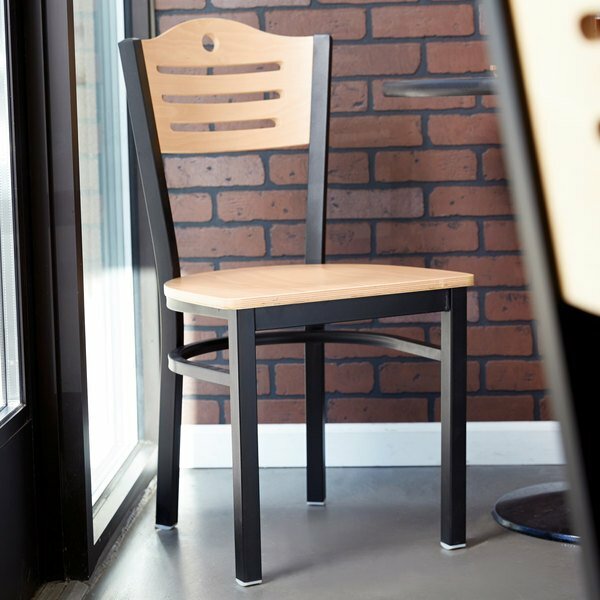 These add a nice clean look to our cafe without being too contemporary. They come nicely wrapped and shipped. Ours arrived in perfect shape. Do not chip or dent easily. what an amazing chair. has a great finish and a perfact stain, and goes with wooden floors well. made very sturdy , has a nice design. Amazing chairs! 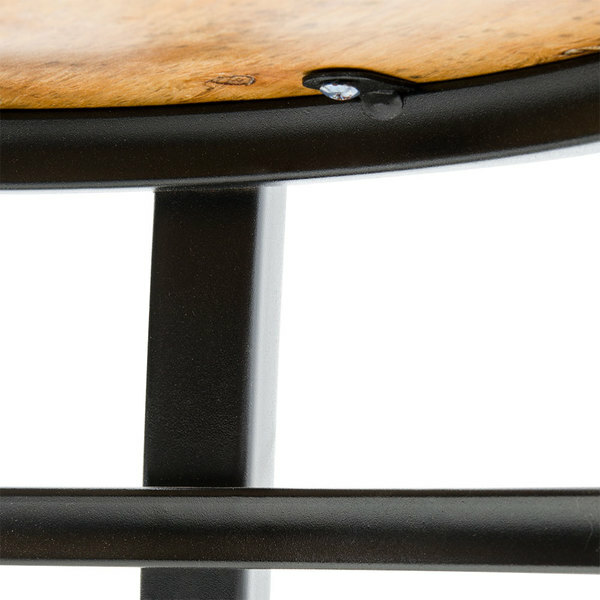 I love the finish, they are a perfect stain to go with the wood floors in my dining. So sturdy and no one feels like they will break, no matter the weight. 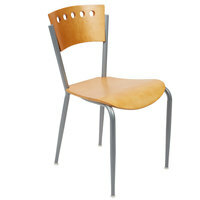 A great design of a chair that can be used in a cafe or in a house. A lot of people compliment at how great they are. Looks more expensive than it actually is.